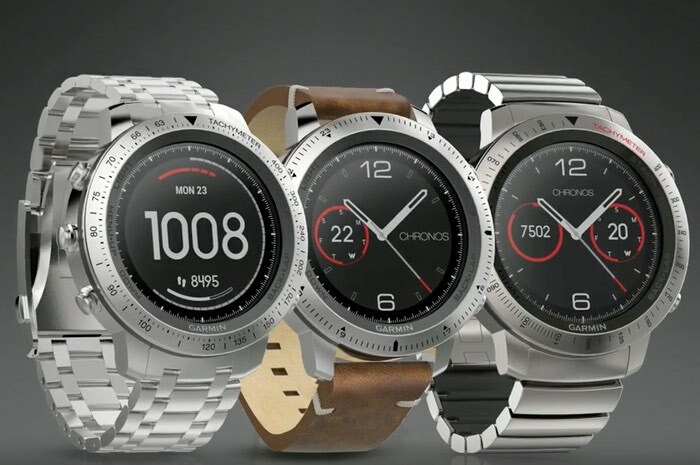 Garmin has this week launched their first luxury GPS smartwatch int he form of the Garmin Fenix Chronos with prices starting from $900 and equipped them with GPS and GLONASS satellite reception. The Garmin Fenix Chronos is available in three styles with either a steel and vintage leather band, steel with brushed stainless steel band or titanium with brushed titanium hybrid band. Garmin explains more about their first luxury GPS smartwatch. Crafted of premium jeweler’s grade materials, fēnix Chronos is the first Garmin watch to combine a durable metal housing (containing an EXO omni-directional GPS and GLONASS antenna in the bezel) with the latest outdoor navigation and fitness training features. These features include Elevate wrist heart rate technology¹, daily activity tracking¹, smart notifications², activity profiles and more. Top-tier performance meets sophisticated design in a highly evolved timepiece that fits your style anywhere, anytime. For more information on the new Garmin Fenix Chronos jump over to the official Garmin website for details by following the link below.